The root (mula) lock moves the earth energy up through the muladhara chakra system connecting above it to the water chakra (swadhistana), while also serving as the valve connecting sky energy or spirit below it to the center of the earth. Mula bandha keeps the energy flowing between the body and the earth in a non-dual direction (neither only up, nor exclusively down), while it is the sushumna which connects the earth energy of embodied existence (at the muladhara) with the unborn formless realm of sky (at the crown of the head). The muladhara chakra is the most important chakra in hatha, kundalini, and tantric yoga as well as the most mysterious. It is where our dormant potential and animal power resides and it is from here the kundalini becomes activated and enters into the central channel (sushumna) activating the super-conscious network. This is not some archaic myth or fantasy, and should not be ignored nor demeaned, but rather its knowledge is essential to success in hatha yoga. Mulabandha is designed to keep this energy flowing in this region. Here it is noteworthy that in yogic literature, the goddess kundalini is pictured as lying dormant in the muladhara chakra in the form of a serpent coiled three and a half times around a lingam. The symbol for this chakra is a downward facing triangle normally, but when the chakra is activated (by an activated kundalini) the triangle reverses upward pointing! The best preparation for mulabandha is aswini mudra in order to tone up the nerves, glands, and muscles of the area. For the male it is the upward turning (like a triangle) of the space about one inch above the perineum. The perineal space actually becomes indented, domed, or sucked in and up creating empty space for the front of the pubic bone and sacrum to move toward each other. It is the same for the female except that the center of the action occurs at the cervix being drawn up and in. This is not a pelvic tilt (anterior or posterior which occurs between the humerus and pelvis and/or between the trunk and pelvis), but rather mulabandha occurs deep within the moveable elements and energetic dynamics of the pelvic girdle itself. It is an energy dynamic more than a muscle movement. 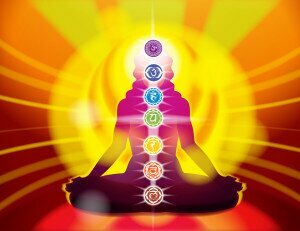 It might be sufficient to point out that aswini, vajroli, and sthula basti are only preparations to get in touch with and move the energy in the pelvic and urogenital diaphragms (root chakra and water chakra areas). In other words these practices are only there to help us get in touch with locked and stagnant energy, rigidity, and then to activate this very important center. In that sense these are kriyas (preparatory purification exercises). Hence the actual bandha does not require strength in the pubo-coccygeal muscles (pc muscles of the famous Kegel exercises), nor does it require strength in the levator ani muscles. More correctly it requires awareness, conscious relaxation of the region, the removal of impurities, irritants, toxins, and energy blocks in the region — a balanced tonification in the nerves of the area. In the latter regard, the coarse, gross, physical, and external practices of aswini mudra, vajroli mudra, and sthula basti may help, but this is so only that we become aware of the more subtle, less coarse, and inner energy dynamics that are involved — so that the energy can move through this area unimpeded and that the region is strong enough to withstand an increased energy flow such as is demanded in kundalini yoga — so it is truly balanced, functional, and tonified. Mulabandha occurs low down in the perineum and depends upon the energetic relationship between the sacrum/tailbone complex and the pubic bone. It simultaneously draws the pelvis down from the torso and spine while the pelvic diaphragm domes upward. As it was taught to me, the perineal fascia do not contract but rather relax and are drawn upward. If that area is made stiff, contracted or hard, it can not be drawn up. Indeed it is so subtle that it is usually “reached” at first through the practices of aswini and vajroli mudras which are practiced first in their coarse aspect and later in their subtle/energetic aspects. Thus the practice naturally goes increasingly from the coarse to the more subtle. anandamaya koshas and spiritual realm. In any case the bandhas should be taught first, being the basis for the correct positioning of the postures. The bandhas correct the asana, while the asanas refine the practice of the bandhas. Even though the beginner will have to approximate their understanding of it, in this way their understanding will grow. As we progress, the more subtle internal energetic form are integrated and put to use, while their coarse, gross, and external form are then no longer needed. Some people do not need to go through the coarse form ( for example through grace, karma, natural propensity these mudras, bandhas, and kriyas manifest naturally (sahaj). Thus the yoga kriyas can act as a powerful synergist to break up previous negative programming (samskaras) imbedded in both the psychic and cellular tissue. The vajroli in the energetic state affects the opening of the swadhistana chakra so that no energy gets stuck there. It is very valuable that we do not approach vajroli mudra nor mulabandha (the latter occurs in the muladhara chakra) as muscle contractions (at least in the West). In the West we are already too wound up for the most part, while it the east where the “wasting diseases” are more prevalent. Of course “most” movement involves the activation of some muscles (except movements that take the advantage of the force of gravity) or relaxation of a previous tense/spastic muscle, but more important for the Westerner to know is that ALL MOVEMENT (isotonic activity) involves a corresponding relaxation of the holding muscle (called the antagonist muscle). For most of us, it is this relaxation (and resultant activation of the parasympathetic nervous system) that is key to mulabandha and vajroli. This allows the energy to flow through this area, irrigating it with chit-shakti. THEN it no longer feels trapped nor is there a need for it to flow out and discharge its energy once the charge gets dammed up. Since we are addressing specifically mulabandha, the two main points to consider then, are the sacrum/tailbone complex in the posterior of the body and the pubic bone in the front. Through observation one may notice that most adults move their pelvis and sacrum all at once i.e., there is no independent motion of the sacrum and pubic bone from the rest of the pelvis (the innominate bones of the ilea and ischium). Yet closer anatomical study shows that the healthy sacrum is not fused with the pelvis, but forms a joint (the SI joint). Also the pubic rami forms a joint at the pubic symphysis. More over the two ilea are designed to move independently from each other. Thus much of the asanas, kriyas, and mudras are designed to break up the stagnant energy and negative conditioning that unfortunately occurs in the muladhara region. Here we can identify at least twelve independent muscles in ten muscle groups that connect at the sacrum and run across the ileum, ischium, the back, to the legs, the pubis, and to the tailbone. On the posterior surface of the sacrum are attached the iliocostalis, longissimus, multifidus, erector spinae, latissimus dorsi, longus and brevis rotatores. On the lateral surface of the sacrum, the gluteus maximus attaches, while at the anterior surface of the sacrum we find the levator ani group, piriformis, and coccygeus groups. It is valuable to note that the latissimus for example attaches all the way up into the upper arm. It is not important to break out your anatomy books to see all the various attachment points, but rather to be able to feel the effects that the sacral/coccygeal complex has upon the whole body and especially upon the spine. Mulabandha thus mobilizes the previously stagnant energy and repositions places it into its rightful energetic and aligned place. The correct application connects the front and back of the body, the left and right, the ida/pingala — it aligns the spine as well. Although the bandhas are ENERGY valves, this is too subtle for most, thus the energy is first gotten in touch with through the physical form of physical movement. So if you follow this so far, then you will be utilizing your asana practice to go deeper inside — feel the energy and especially to feel the synergistic and mutually electro-magnetic relationship between the pubic bone and tailbone. This is subtle at first. If one hasn’t experienced it, then of course one may not even entertain its possibility, but that is how we grow — entertaining the possibility — moving from coarse/gross and outer to the more subtle, energetic and inner. This is very much like pranayama where the coarse breath leads us to the energy (prana) awareness and then to communion the implicate integrating intelligence at the Source of this energy. So too in mulabandha the tailbone and pubic bone no longer move with the rest of the pelvis but rather form the base of the pelvis and the spine where the physical body moves around that root foundation. Here the tailbone and sacrum drop at the same time the pubic symphysis drops down — they both move toward each other INDEPENDENTLY of the rest of the ileum and ischium (heresy that this may be). Here the sacrum moves away from occiput and the entire spine becomes long– in traction while at the same time the torso is lifted away from the chest and armpits. We don’t have to know the anatomical terms to know the energy of mulabandha, but yes it has an anatomical relationship as well. This mulabandha makes backbends, forward bends, twists, sidebends, contralateral poses, etc. all work in a functional and energetic alignment, and in turn these poses should make the energy of mulabandha work — they are mutually synergistic and thus an energetic partnership is thus engaged and is able to become fulfilled in the practice — all of which is self instructing if one balances and harmonizes these energetics with this awareness in mind. In other words Mulabandha should be found in all poses (unless one rounds the back). When mulabandha occurs there is less effort and more energy so it is not a contraction. Physically the fascia (pelvic diaphragm) in the perineum lose tension and hardness and are able to dome upward but rather a lift up creating space for the tailbone and pubic bone to move inward toward each other. As this diaphragm domes upward, the sacrum and pubis drops downward to meet the earth (if you are standing). So there co-exists both an upward motion and a downward motion simultaneously occurring. Physically the pubic bone and tail bone no longer move glued to the rest of the pelvis. Freeing up this motion is the subject of much “technique” in the kundalini and hatha yoga literature. A practical example of using mulabandha in a backbend, try cobra (bhujangasana) . Laying on your abdomen and front thighs, become conscious of the pubic bone and sacrum. Do not allow the sacrum to lift toward the lumbar but at the same time do not allow the pubic bone to lift toward the armpits — both the pubic bone and sacrum do not shift but rather form the stable base from which the front and. Do you see the tendency to move one and the other will follow? How can you lift the spine and the torso long off the mula base without arching or tilting the pelvis? That mutual synergy is the physical implementation of mulabandha. One does not consciously think to contract any muscles whatsoever in the perineum. Similarly in standing forward bend, like uttanasana, bending forward the pubic bone into the front groin crease toward the sacrum. Simultaneously the sit bones (ischial tuberosities) rise up toward the sky away from the knees, but also simultaneously the sacrum/tailbone complex sinks down toward the knees moving in to connect with the pubic bone giving lengthening the spine and the legs also simultaneously. Especially in surya namaskar (sun salutations) mulabandha is joyously “found” and established — searched for — throughout (I am prejudiced against the word, held). Yes, instead of a tension it is the release of tension — it is a synergistic feeling — there is a lift. Your experience of it will change in time as your energy body changes. For me the quality of a lift– lightness — ease — effortlessness, balance, strength, and harmony are experienced. With vajroli there is a different experience. 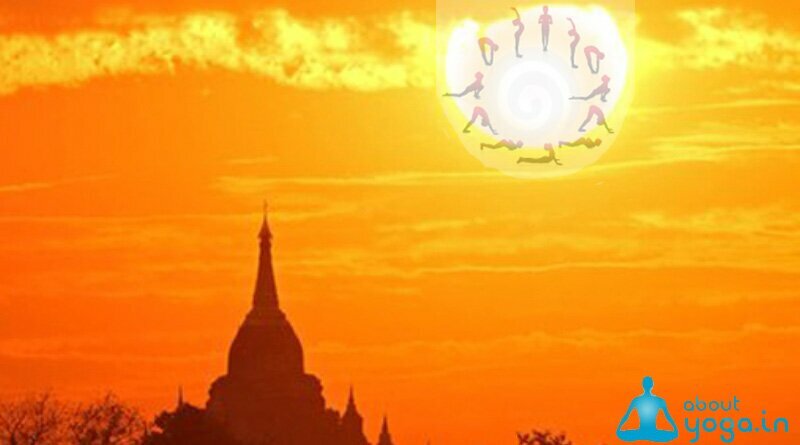 For sure uddiyana bandha should never be done without mulabandha, but I can not say that to do mulabandha one must apply uddiyana bandha, although it is true that a good uddiyana bandha improves and completes mulabandha. Mulabandha always first — it is the foundation. Some people teach that the ENERGY of the three bandhas should be maintained in all poses, but physically there may not visible movement. The conscious use of bandha as a conscious and joyous benefit can be found in all asanas — all the time – standing, on abdomen, on side, on back, sleeping, twisting, working, etc. — as part of the practice of communion. The relationship between the perineum region configured in mulabandha to that of the other parts of the body such as the lumbar, the spine, the occiput, the shoulders, the armpit chest, the heart, etc. is an education in itself. Yes, more detail can be given for each pose (there is always MORE in this regard), but at the same time it is counterproductive to feed the illusion that it is in increasing specifics that yoga is realized but rather in unification — in balancing, harmonizing — dancing and celebrating creation/creator. Traditionally, mulabandha is practiced selectively and sometimes in combination with other bandhas at certain stages of pranayama, asana, mudra, meditation, and tantric practice. Some modern schools recommend a light mulabandha throughout the entire asana practice. It is one of the three bandhas in tri-bandha (together with uddiyana and jalandhara bandha), used in most pranayama retention cycles. Classically there exist many nadis that may have obstructions to be opened, but only three granthis of which their location is not always agreed upon, but which some hatha/kundalini yoga schools suggest that the three bandhas serve as their remediation. Here mulabandha opens up the Brahma Granthi providing knowledge of Brahma Loka. However at the same time there exist numerous nadis which may be obstructed and of which most hatha/kundalini schools suggest that one of the major functions of a functional asana practice with the use of bandhas is to open these up — remove their blockages so that the samskaras get cleared out, the distorted energetics cleared away, and the dormant creative/evolutionary energy circuits become activated moving us into manifesting our greater creative evolutionary potential. The area between the tailbone and the pubic bone is brought together in a healthy trans-integrity or phase of synergistic equilibrium. In order to tonify this region and get in touch with its energies please see the practice of aswini mudra in the kriya and shat karma section. The practice of mulabandha is very different however from aswini mudra. Following is first a discussion on the practice with hip flexion (anterior tilt of the pelvis). Then we will follow with a discussion of what mulabandha looks like in hip extension (posterior tilt of the pelvis). In forward bends occurring at the hip joint (between the pelvis and humerus) the ASIS (Anterior Superior Iliac Spine) normally tends to tilt forward (anteversion) over the toward the top of the thighs while the pubic bone tilts downward and backward (posterior). Thus in normal hip flexion (forward bend at the hip) the sit bones move back, out, and away from the back of the thighs (the bulk of the hamstrings) at the same time that the ASIS moves toward the front of the thighs. Normally the sacrum follows the movement of the pelvis, but in mulabandha the tailbone actually is moved in trans-integrity toward the pubic bone (as the pubic bone moves toward the tailbone, the tailbone and sacrum moves toward the pubic bone attempting to meet it) at the perineal space. Thus one may say that the sacral/coccygeal complex drops down away from the lumbar toward the pubic bone, creating a narrowing of the space at the perineum between the tailbone and pubic bone in a healthy dynamic energy vortex. This movement affects both the pelvic diaphragm and the uro-genital diaphragm. The only way that this movement can happen is that space is created for it in the pelvic floor (near the pelvic diaphragm). If that region remains hard and rigid, nothing can move there, but rather if it is relaxed and softened, then the floor of the pelvic diaphragm can dome upwards creating more space for the tailbone to move toward the pubic bone. If it’s tight, it won’t budge in this way. However when the perineum domes or lifts upward, the trans-integrity between the two form a stable base for the spine (which rests on top of the sacrum) and hence the rest of the body. Connecting to the sacrum are no less than 10 separate muscle groups which attach to the back, the legs, to the other parts of pelvis (such as the pubic bone, ischium, and ileum). Similarly in a backward bend occurring at the hip joint as in hip extension the ASIS tends to tilt back away from the front of the thighs in retroversion or posterior tilt, tending to tuck the tailbone and sit bones under, around, and up toward the pubic bone, but if we allow for the posterior tilt of the sacrum to occur, simultaneously bring the pubic bone back to meet the tailbone, we have mulabandha. Here the front of the thighs remain long from the ASIS, but the pubic bone does not raise up toward the navel as it moves away from the front of the thighs. Here the sacrum does not raise up toward the lumbar spine even if the pubic bone heads away from the navel, but rather the sacrum drops as the tailbone attempts to meet the pubic bone. As in the example above in cobra (bhujangasana) keeping both the pubic bone and the sacrum long from the head toward the feet, while the feet remain in traction out and away from the hip socket. Many directions can be given to the body to help effect mulabandha, but in the end it is an energy lock that can be heart felt and attended to. Perhaps the main direction would be to allow check in often at the perineal space (especially in contralateral poses) and then effect flow and balance there. Check in at the tailbone (coccyx) to see that it the fascia in the area is relaxed and that the bone can move (it can even move independently from the sacrum). Line up the tailbone with the spine if you can. Mulabandha occurs at the bottom axis or central connection point of the body connecting the front and back, left and right, and bottom with top (through the connection with the spine). Mulabandha forms the stable support of the entire torso and spine. It can provide traction on the spine. It forms the stable base for uddiyana bandha and vajroli mudra as well as the other asanas and is essential to traya bandha, which in turn is essential to effective pranayama practice. It forms the basis for mudra and long meditation sits by keeping the energy flowing in that region and taking any strain off the lumbar and SI joints. It activates Brahma granthi and allows us to enter Brahma Loka (or Nirmanakaya). It tonifies, purifies, balances, and energizes, the pelvic and urogenital region (see vajroli mudra for more specific results at the urogenital diaphragm). If one tends toward constipation, constriction. tightness of the lower abdomen, hips, pelvis, legs, and lower limbs, then the perineal region may already be constricted and domed up already too much. Since mulabandha balances the energy front and back, left/right, ida/pingala and allows flow to occur, sometimes in order for this activation to occur, the area needs to be relaxed and even drawn down slightly in order to balance and synchronize the apana (the downward energy) and prana (upward flowing energy). Likewise hemorrhoids are a physical symptom caused by a disturbance/distortion or imbalanced tension of the apana and prana in the muladhara region which in turn may be aggravated by harsh, spicy, coarse, and irritating foods as well as by harsh, lustful, and irritating thoughts forming the precursory energetic vectors, which influence the physical characteristics in the region, as regards to disease or its remediation. So in this case, mulabandha is applied to alleviate the dis-ease, distress, and ill-feelings in the muladhara, while increasing flow, well being, ease, balance, harmony, and synchronicity. Check in often with mulabandha to make sure that the tailbone area is relaxed and the tailbone is free to move. Make sure that the perineum does not tighten and it feels that energy is flowing through the energy valve. After you are able to wag the tailbone and feel it move freely, then check in with it to see that by aligning it with the rest of the spine, the spine becomes long the tailbone up with the spine — in order to catalyze synchronization and to prevent distortion. In functional mulabandha the pelvis is neither in classic retroversion or anteversion, but rather it rests in synergistic synchrony as the sacrum/coccygeal complex and pubic rami forms a trans-integrity stable base between the pelvis and the back and the pelvis and the thighs. Thus the pelvis is perfectly balanced and there is no strain in the spine or the groins. Here mulabandha can occur spontaneously through shakti’s grace, yet at the same time we can consciously utilize it as a means of embracing her.